Your position in the water and the overall buoyancy are very important and even essential elements that influence your fatigue and your gas consumption. Known as “trim,” this concept embraces the horizontal position of the diver’s body together with perfect buoyancy. You can obtain a correct trim through judicious combination of your equipment configuration and training. As soon as you acquire a horizontal posture your become much more streamlined, you have less drag, you are more efficient and thus you consume less gas. Your risk of getting short of breath also remarkably diminishes. The trim is an absolute necessity for diving in overhead environments such as caves or wrecks, where in order to conserve a good visibility it becomes vital not to disturb the silt on the bottom by a clumsy fin kick or a seahorse posture. Having a sound trim also represents a big step towards acceptable or even impeccable frog kick propulsion, modified frog kick that is useful in constrained areas as well as the legendary backward kick that allows you to move backwards and is “a must” for an experienced diver as well as a camera man and a photographer. It is also an important component of team diving and communication. In order to master all these techniques, do not hesitate to start with Intro to Tech training right from the beginning. Your body is your first diving tool, and you can influence it by regular exercise (for example, up to 25 percent improvement of endurance). It is important to choose the activities that you like and that you will practice willingly and with pleasure. Basically, it has to be an endurance activity: walking, cycling, swimming with or without fins, with exercise duration from 30 to 120 minutes. The minimum seems to lie between one hour and 30 minutes and two hours and 30 minutes a week in two to five sessions depending on the activity and its intensity, and up to three or five hours for the most motivated divers. A small portion of resistance and two weekly sessions of gym, isometrics or stretching can help you to enrich this aerobics foundation. Apart from improving your shape, this combination will render your dives more enjoyable and will increase your security margin in case of any problems. A better physical condition will also positively affect the quality of the decompression, overall fatigue during and after the dive, consumption and the risk of getting short of the breath. Include a little bit of apnea in your exercises. It’s not a question of holding your breath while underwater, but more of incorporating apnea in your training. Try to improve your comfort in breath-holding even in the swimming pool, particularly in motion, as well as your amount of time without taking a breath. 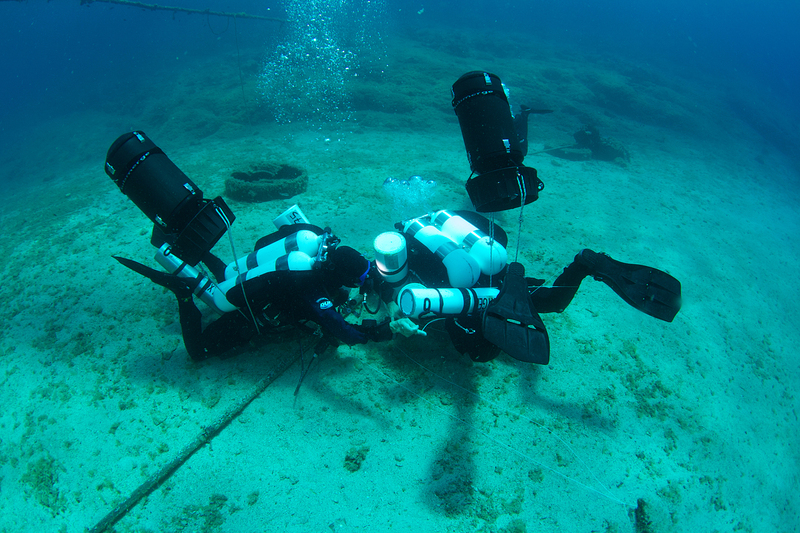 And then don’t forget apnea-based skills and drills during the courses and the training in the natural environments. For example, a classical thing to do is to go after your buddy’s mouthpiece at 15-20m, depending on your level. You will quickly grasp the need to stay close in the team. Also, it is a good way to learn your real possibilities for holding your breath in case of out-of-air situations.